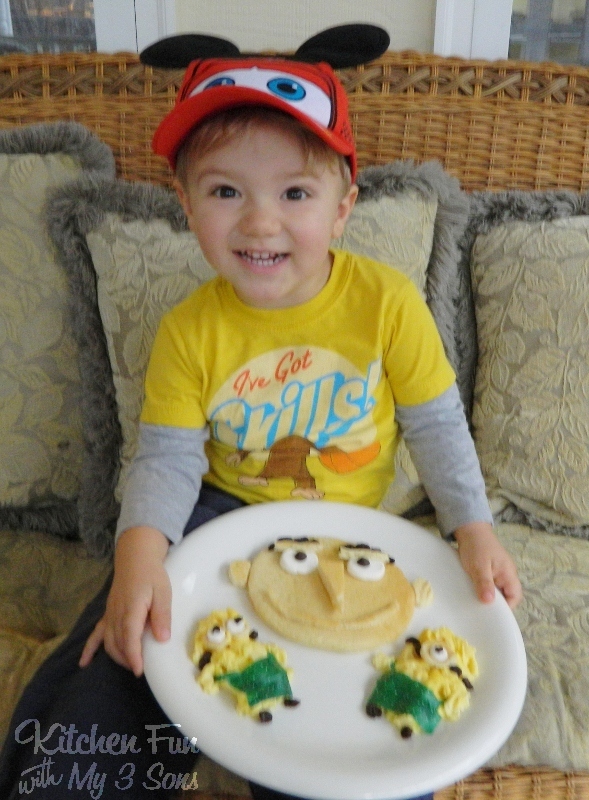 My 2 year old is really into Despicable Me big time and we thought it would be fun to make him a Despicable Breakfast making Gru Pancakes and Minion Eggs! He was so happy and excited! Mix up your pancake mix and make a large circle in a pan on low heat. Make another pancake to cut out details. Cut the ends off of a marshmallow and place them on the pancake for eyes. Cut out pieces of the other pancake using kitchen scissors to make the eye lids, nose, mouth, & ears. 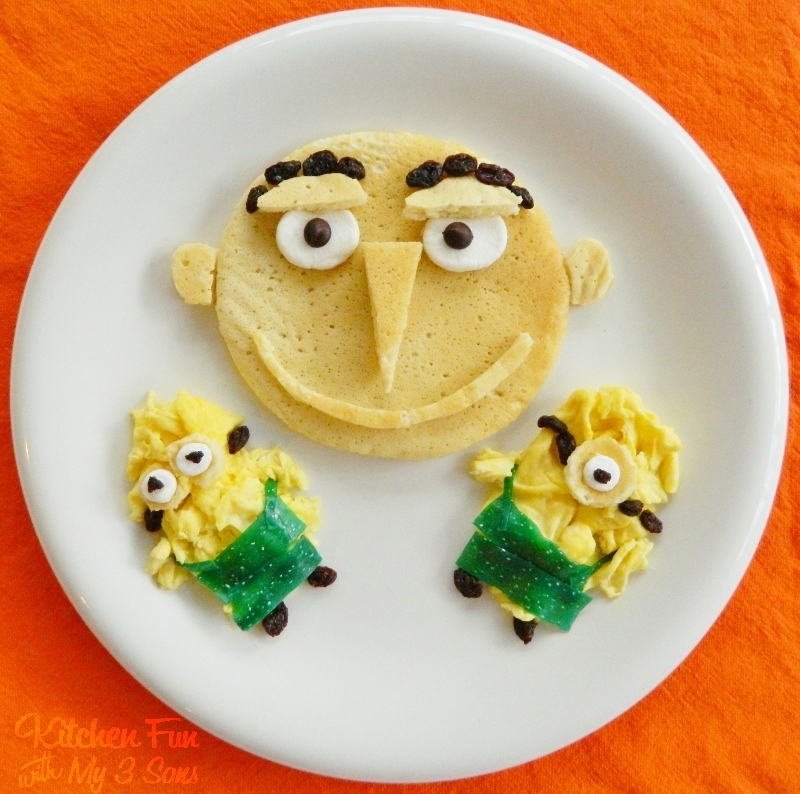 Scramble up 2 eggs and place them on the plate to make Minions. 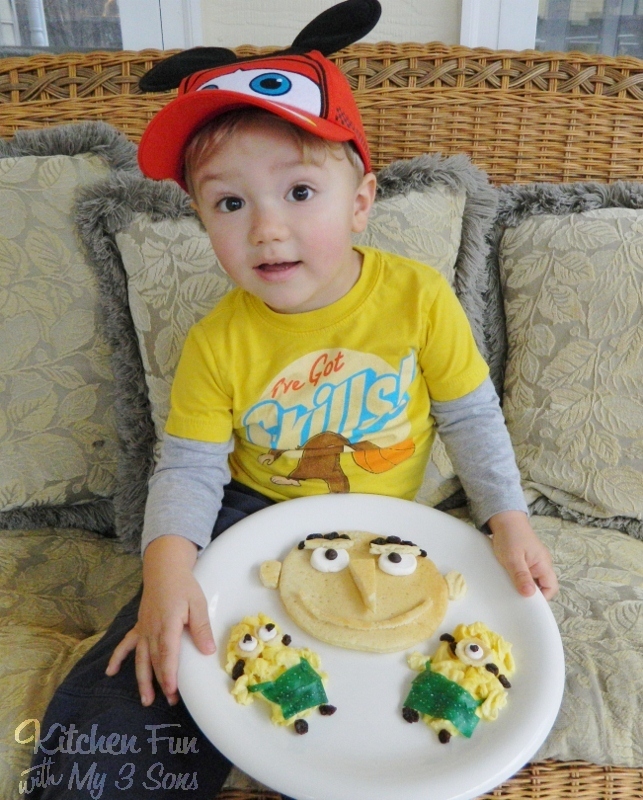 We cut out small circles from pancake to make the goggles. We cut a mini marshmallow in half for the eyes and used raisins for the pupils, google straps, and feet. We also used raisins for Gru’s eye brows and pupils. We cut a blue fruit roll up for the Minions overalls. Is this really for me??? Next Post » Star Wars S’mores Pops…Day 1! 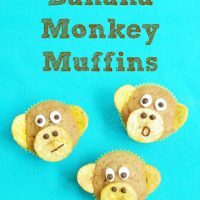 Banana Nut Monkey Muffins for Kids! 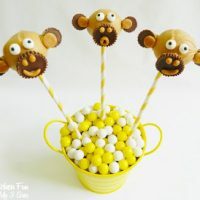 Reese’s Banana Bread Monkey Cake Pops! That is the cutest thing ever! Just shared on my Facebook page and pinned! 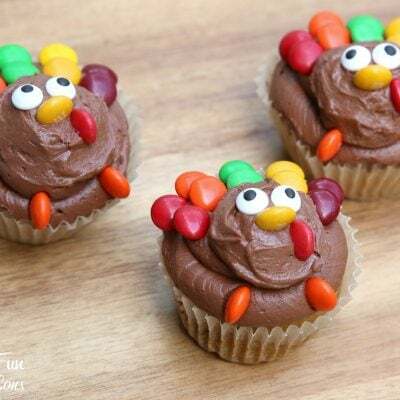 this is so adorable pinning it to do with my nieces! You always come up with the funnest things! 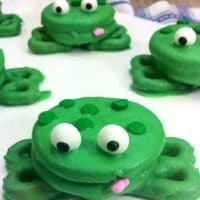 My kids would love this breakfast! 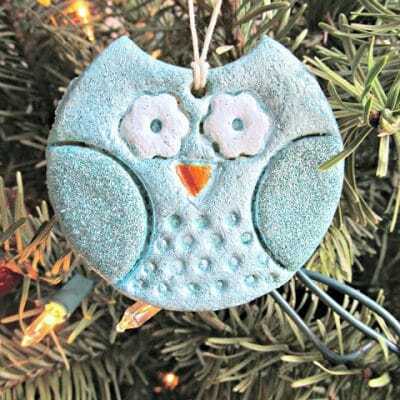 Hi I found you on the Blog hop. Now following you. Please stop by and say hi when you get a minute. have a great week. 🙂 Please check out my new Weekly Goals Blog hop. You can find it here. 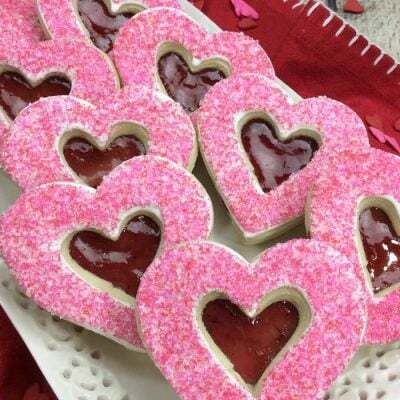 http://lenettacarnes.blogspot.com/2013/01/weekly-goals-linkup.html#more Would love it if you would link up with me. Have a great evening. So cute! Am I the only one excited about the new movie coming out? You're such a fun mom! The look on your little boy's face says it all! We LOVE Despicable Me at our house; my girls would die over having this for breakfast! I'll be featuring this on my blog on Saturday. This is adorable and amazing! 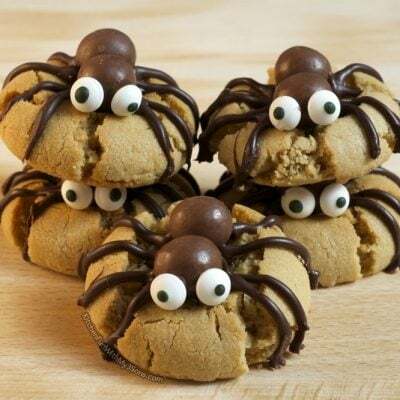 We just saw that movie for the first time last week and my kids enjoyed it, so I'm pinning this for future breakfasts! I have a weekly link party Monday Makeover for Your Table, all about projects and ways to make our family time around the table special. I would love to have you link up with your creative projects if you're interested. 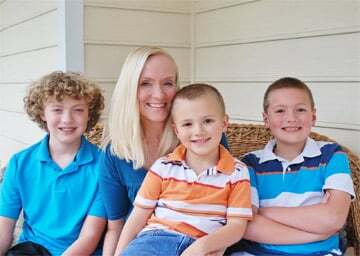 I'm a new follower….always needing ideas with my 3 kids! Oh my, I love the minions! So cute! Such a fun idea. My mom use to make us pancakes shaped like our initials. 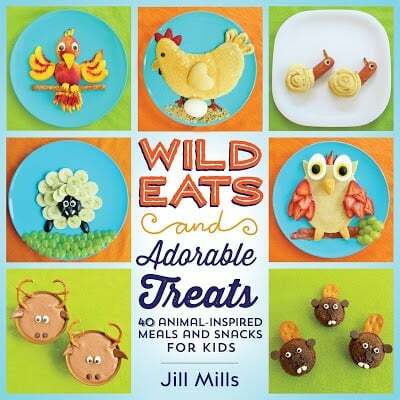 Pinned and sharing on Facebook today Jill! Happy New year. I created my version of minions too by inspiring from your post. I did not get my GRU as good as yours but the minions were a hit. I used mashed bananas for the body(we don't eat Egg), fruit roll for overalls, raisins and olives (had to cut into small curves and pieces.) for eyes and shoes, gloves. It was fun and my kids enjoyed it. I am very impressed how you create all these characters. Keep up the good work. This is fab, the Gru is just brilliant. 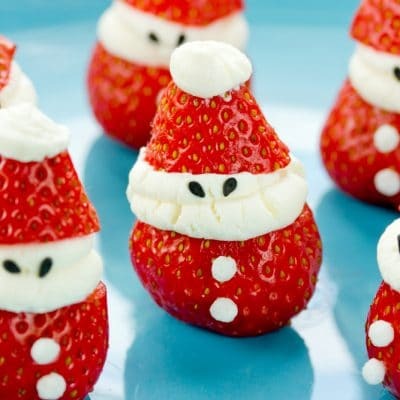 Will definitely be surprising my little boy with this for breakfast one morning!